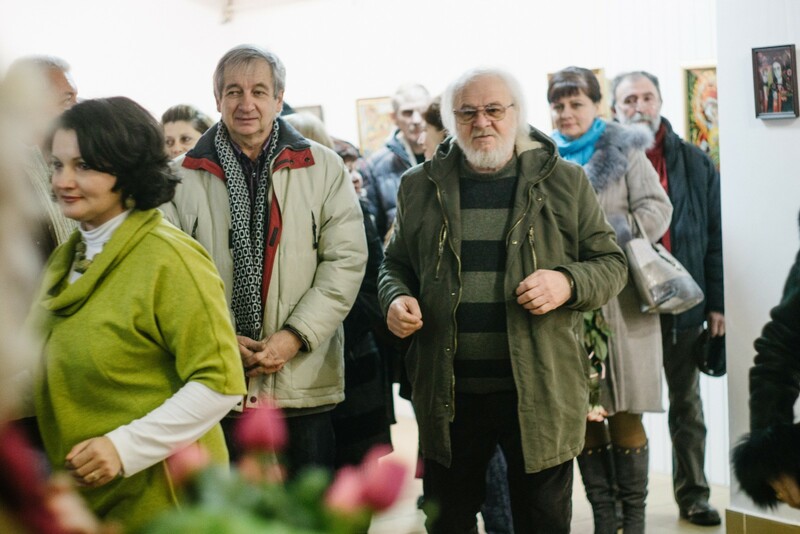 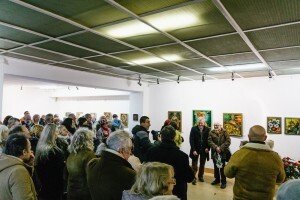 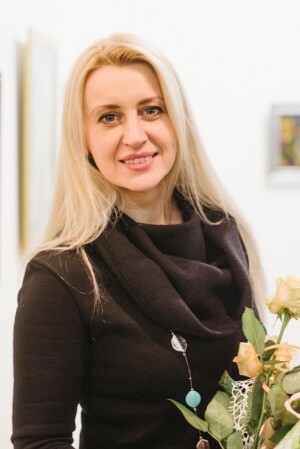 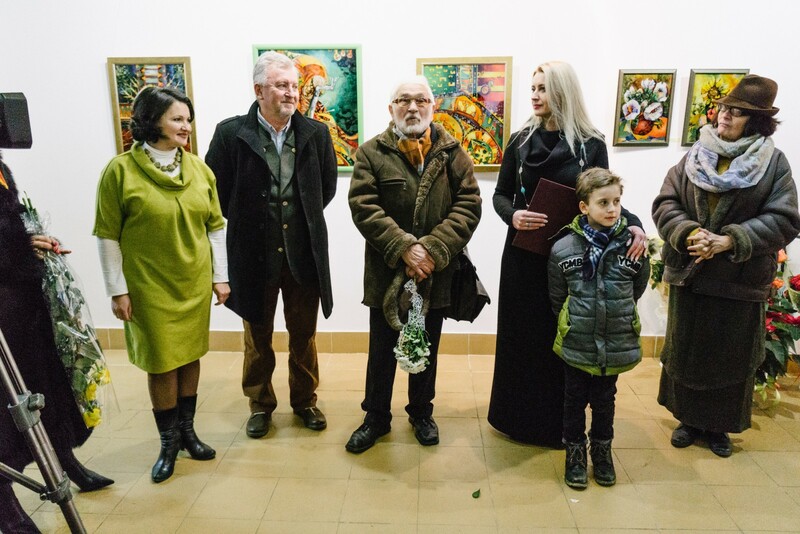 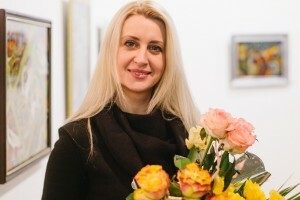 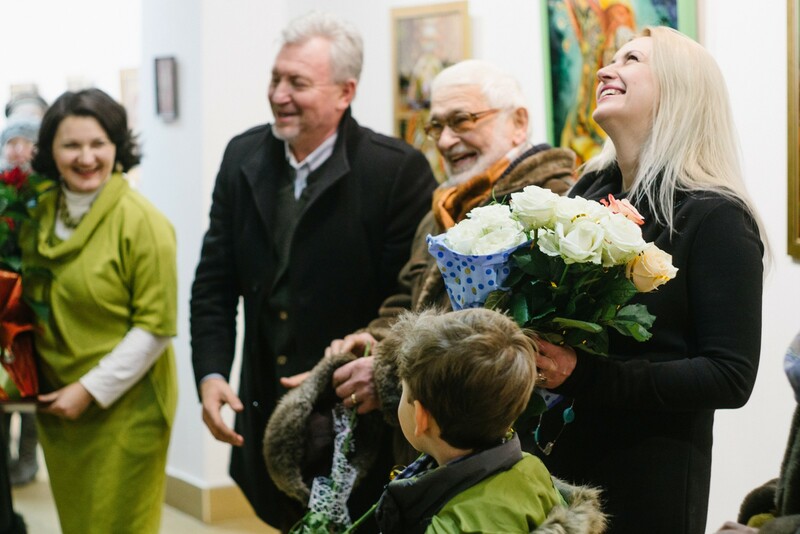 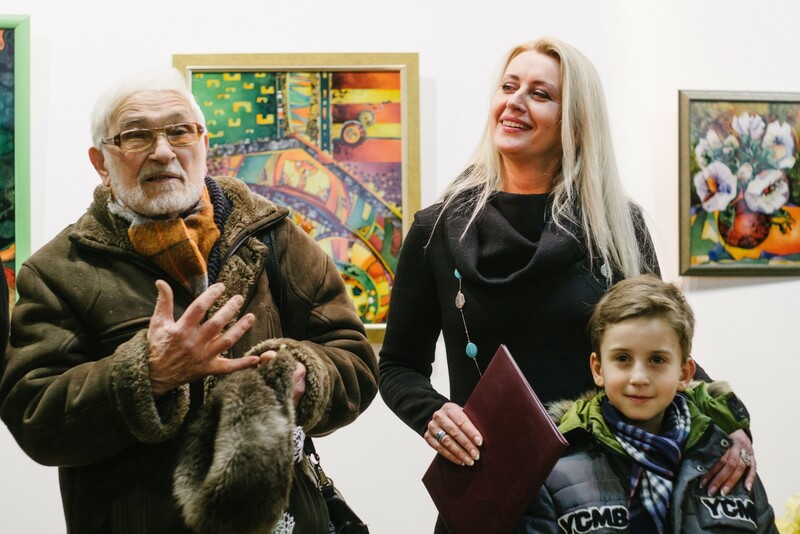 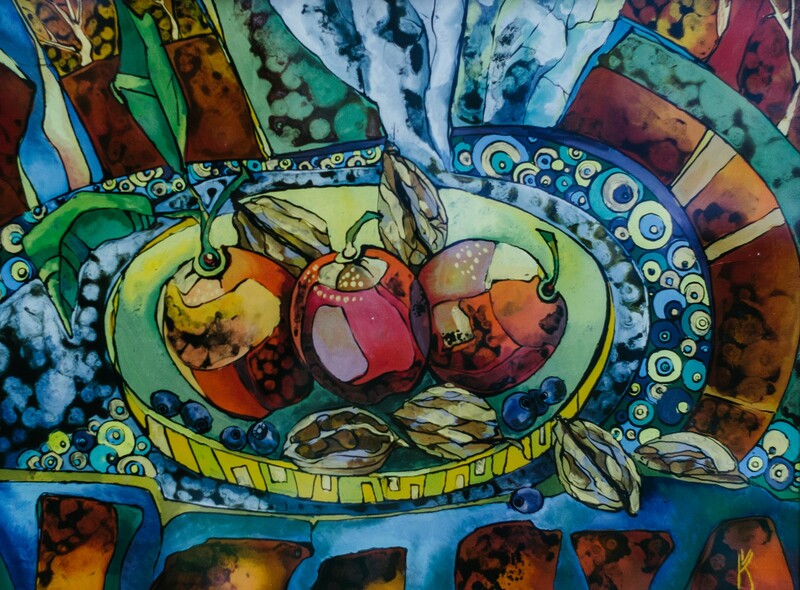 “Meditation on glass” – the first anniversary exhibition of Uzhhorod artist Victoria Kuzma (born in 1976) has been opened on 16 December 2016 at the “Uzhhorod” gallery. 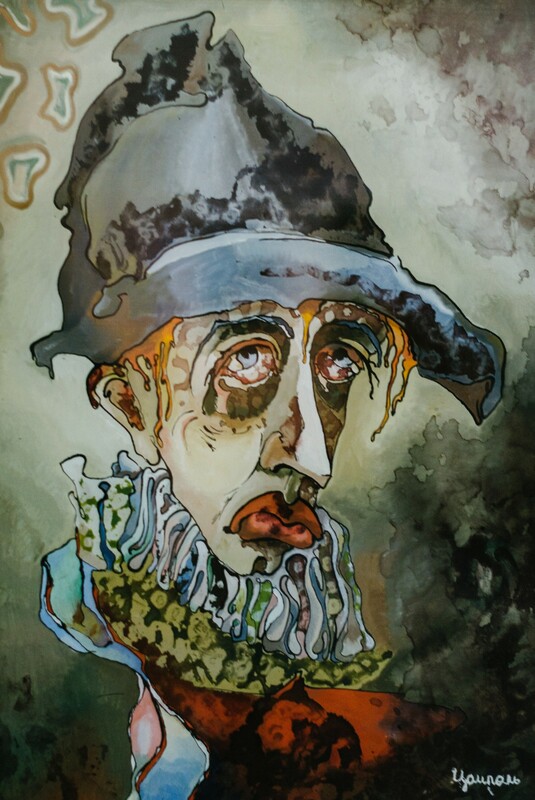 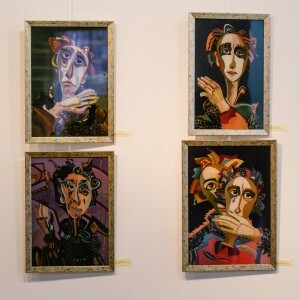 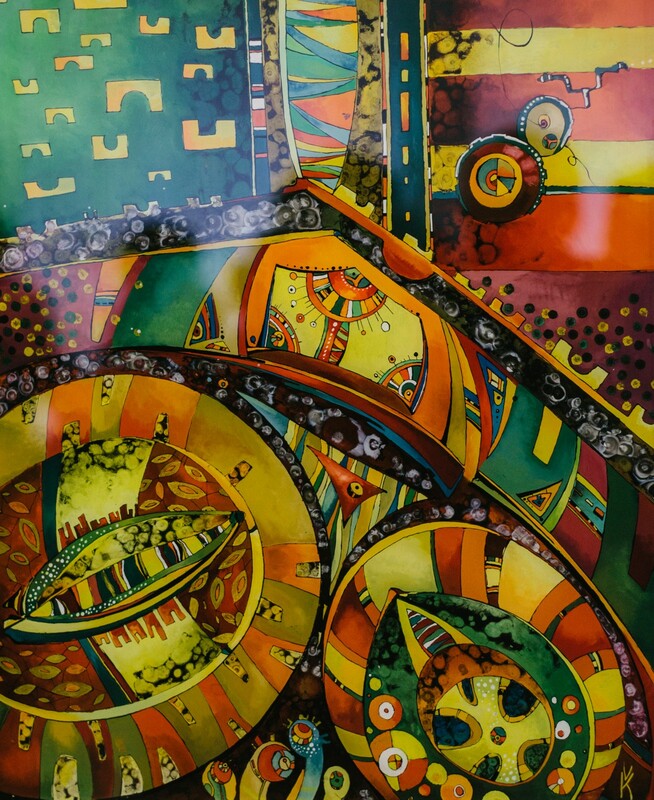 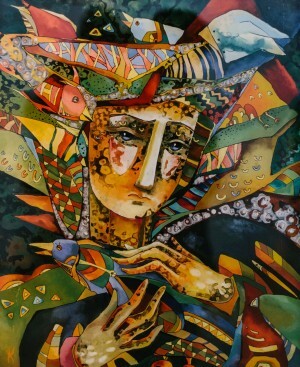 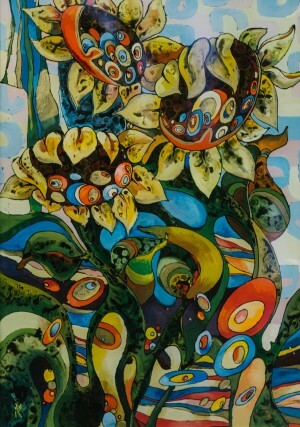 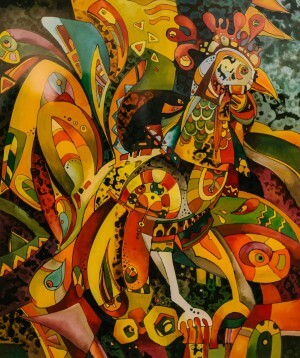 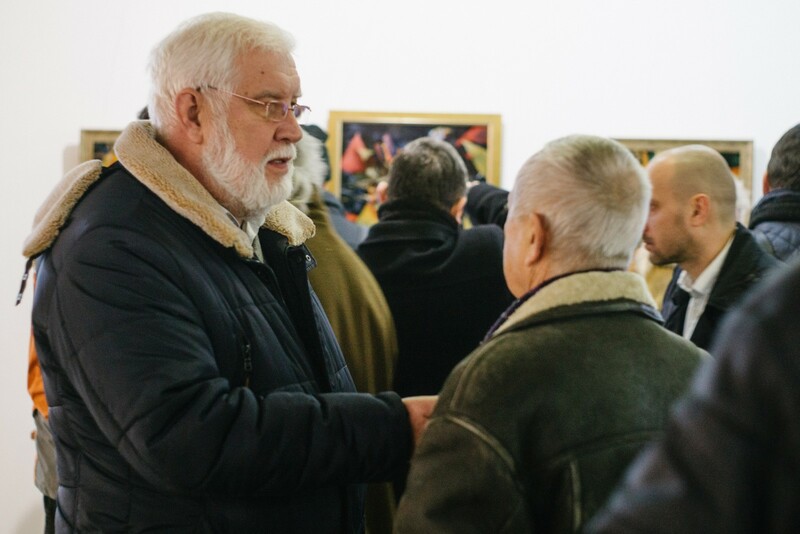 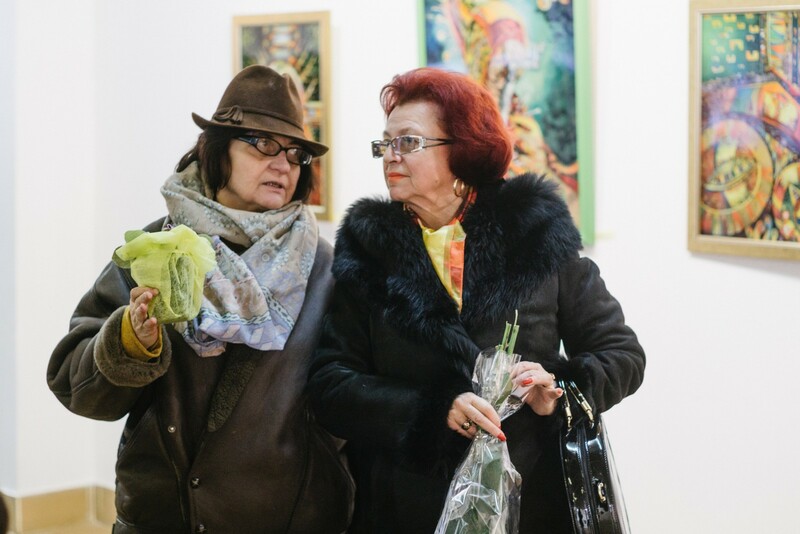 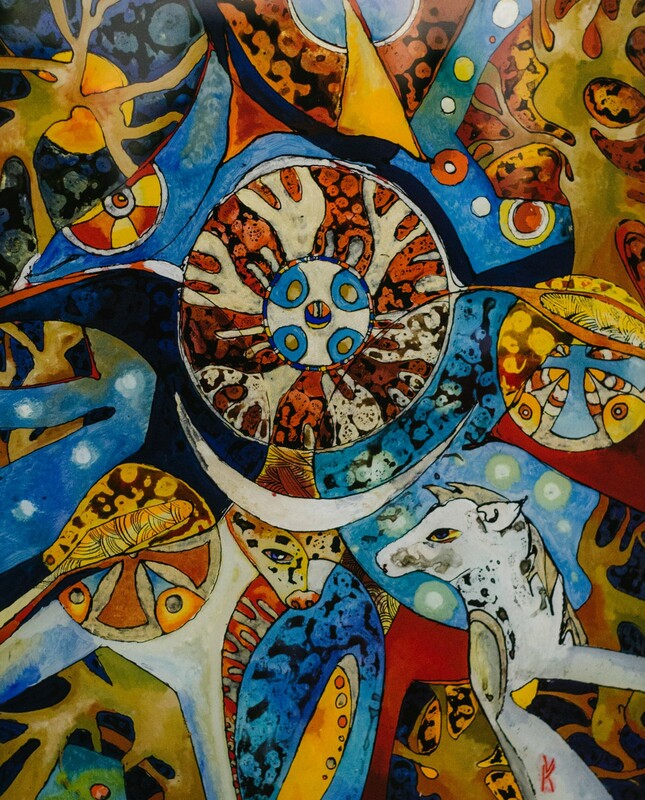 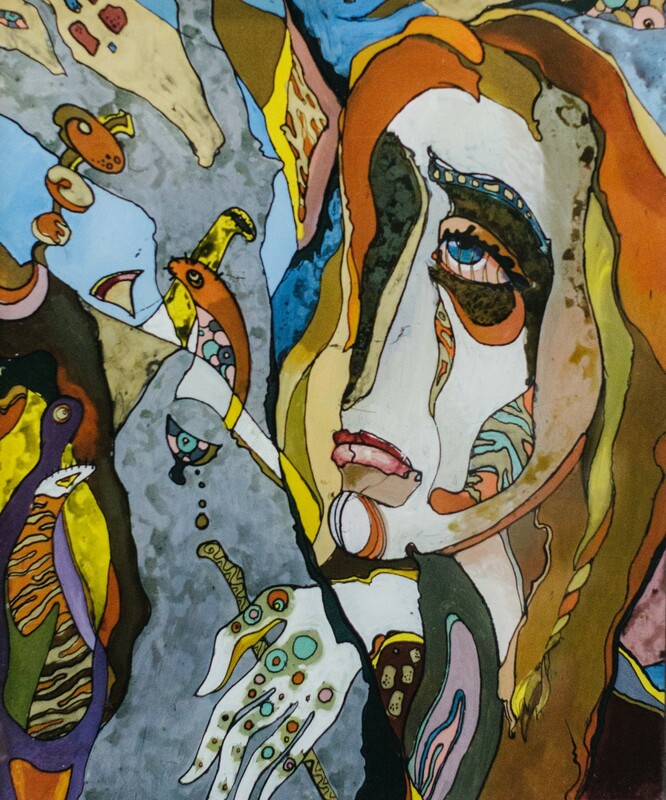 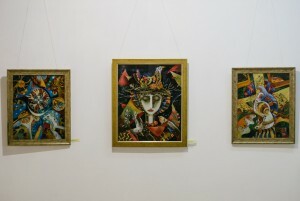 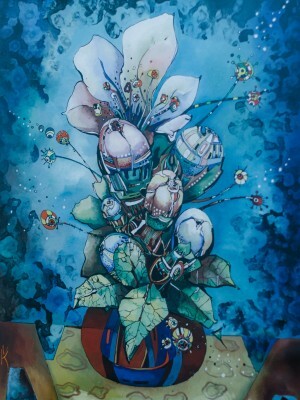 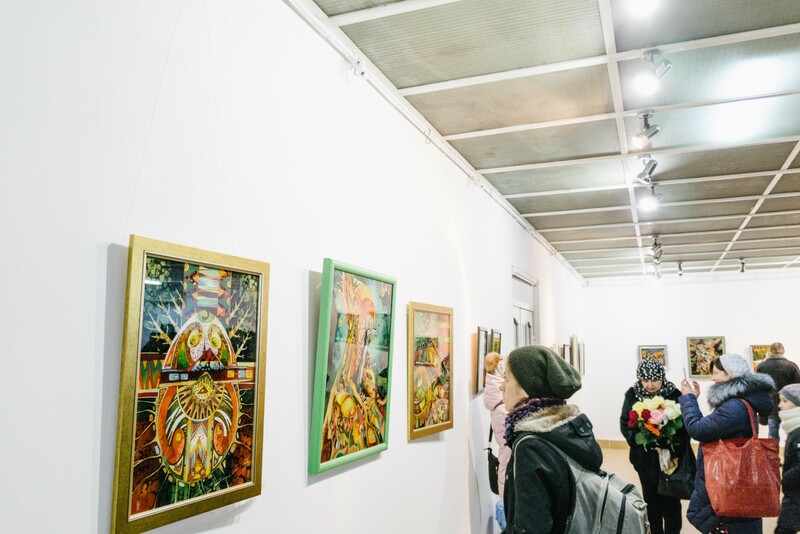 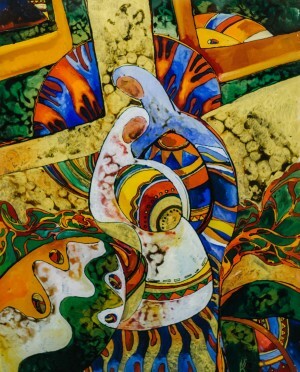 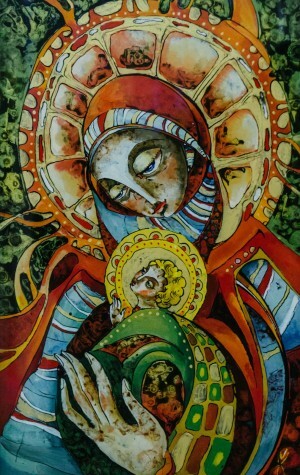 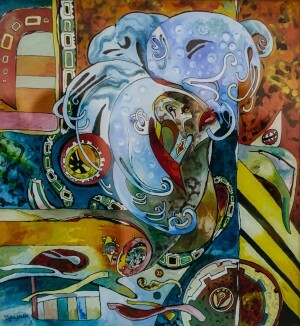 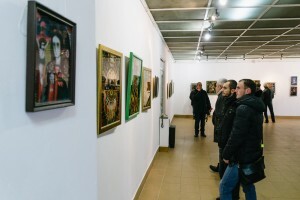 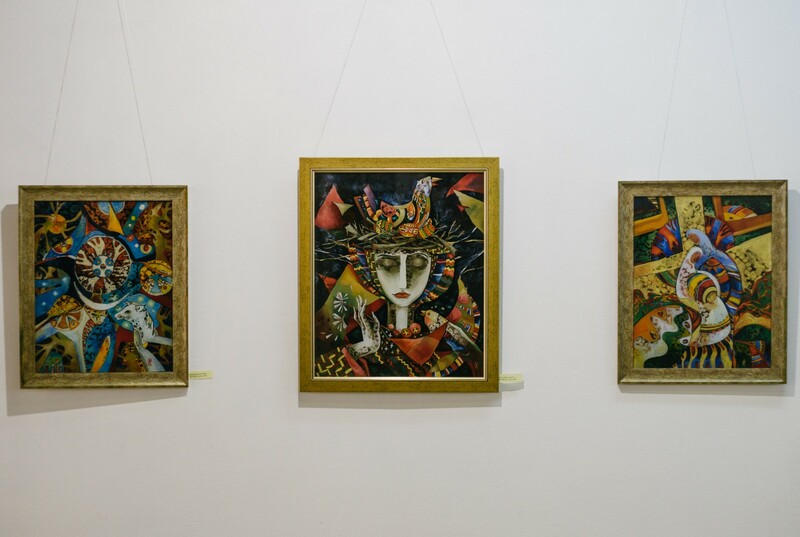 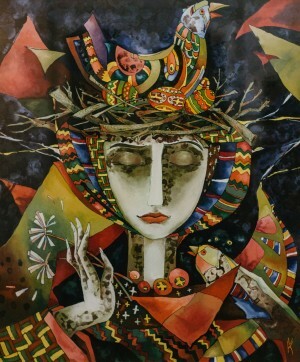 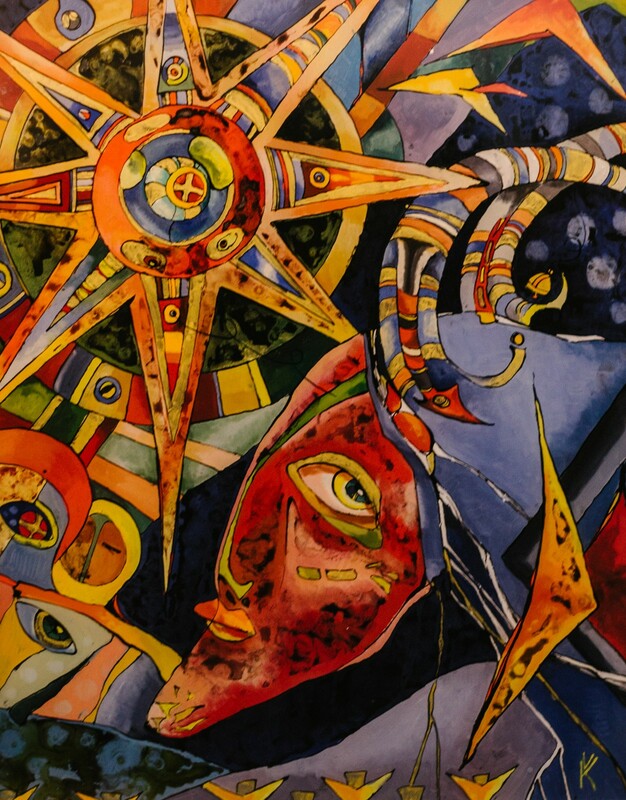 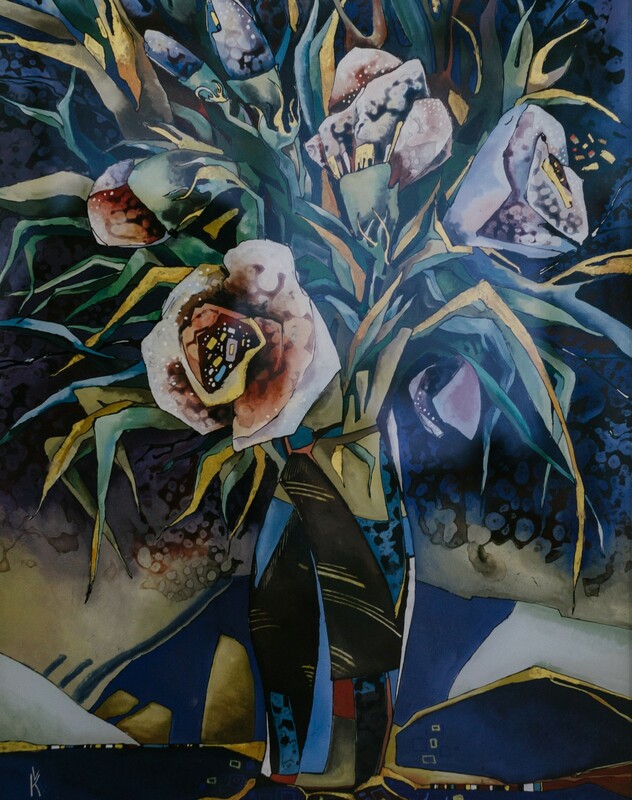 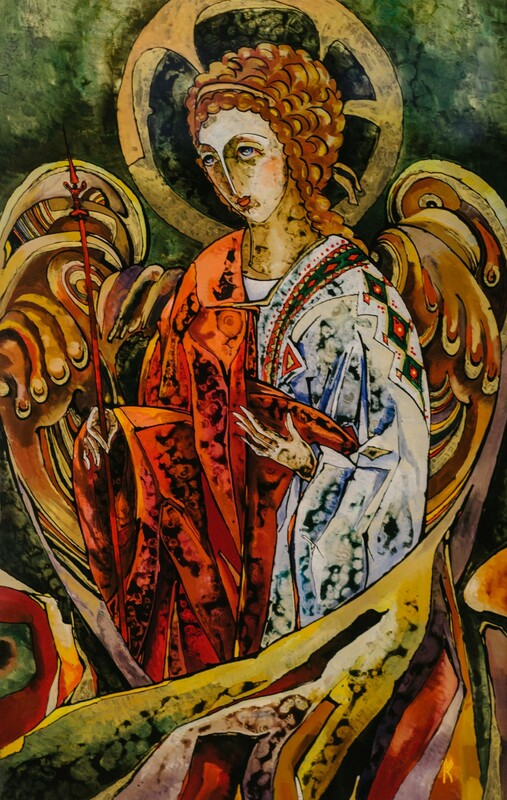 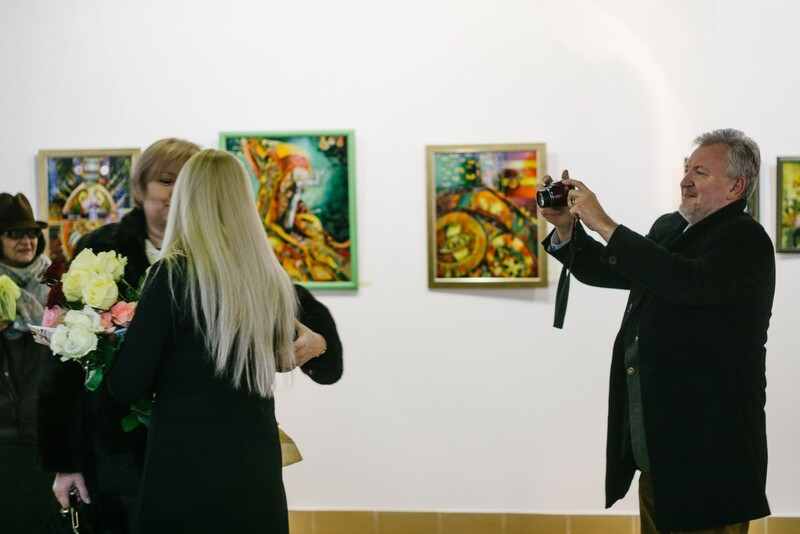 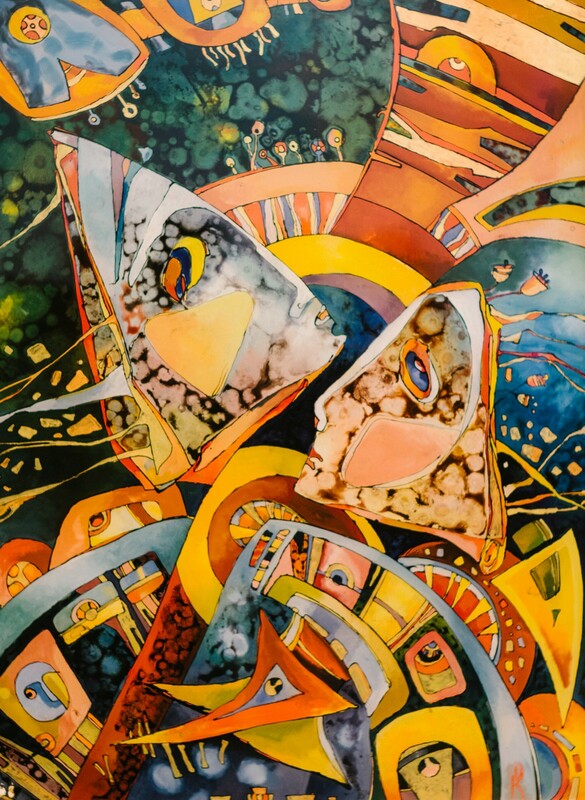 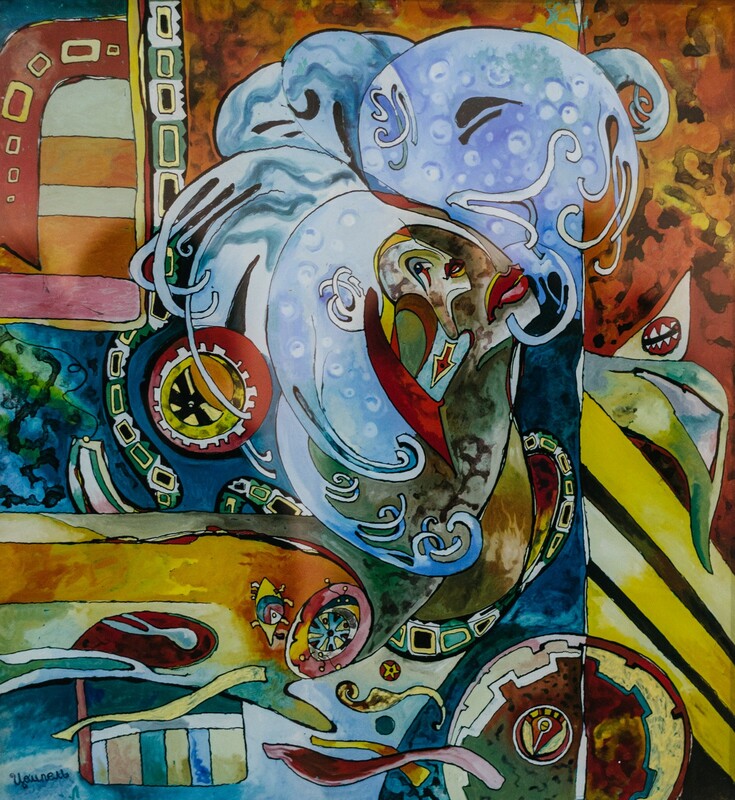 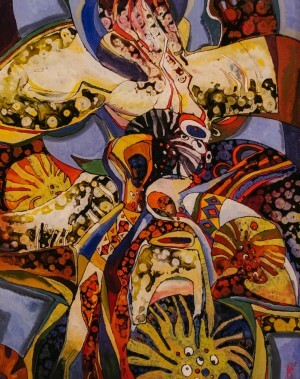 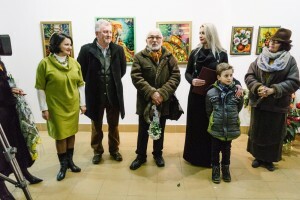 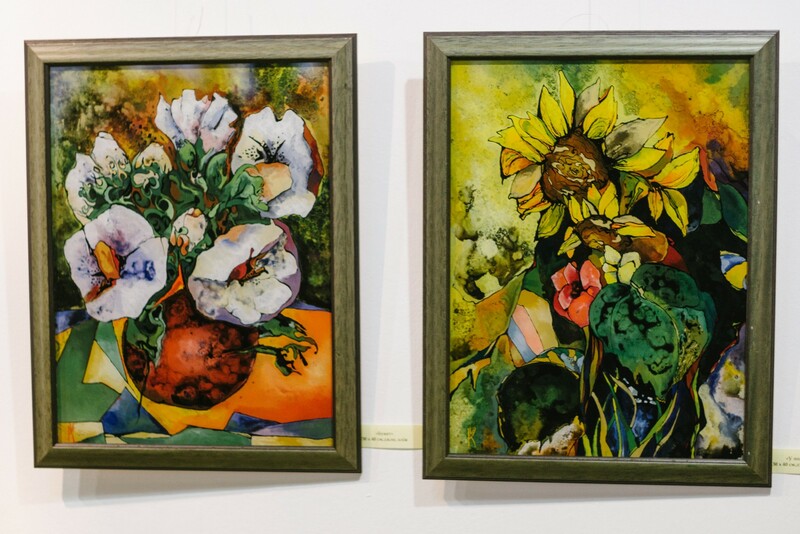 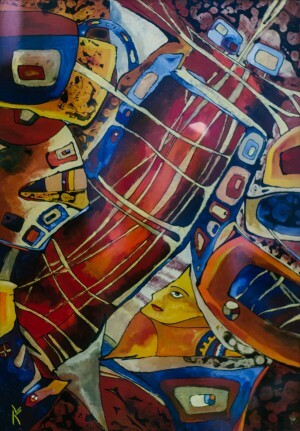 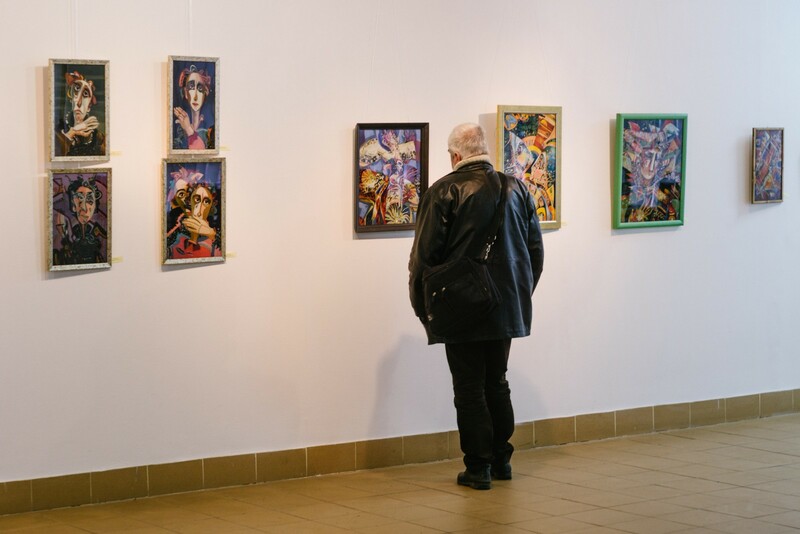 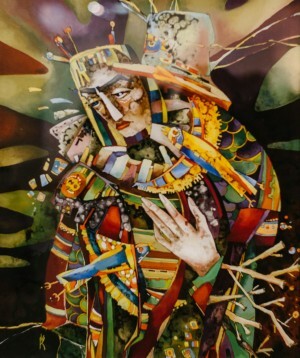 The creative collection of an artist, who is the member of the National Union of Artists of Ukraine and the laureate of the regional prize named after Y. Bokshai and A. Erdeli, consists of around 30 works, painted mostly during the last 5 - 6 years. 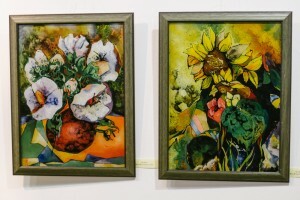 They are the works of different genres such as icon painting on glass, still lifes, genre scenes, including Christmas themes. 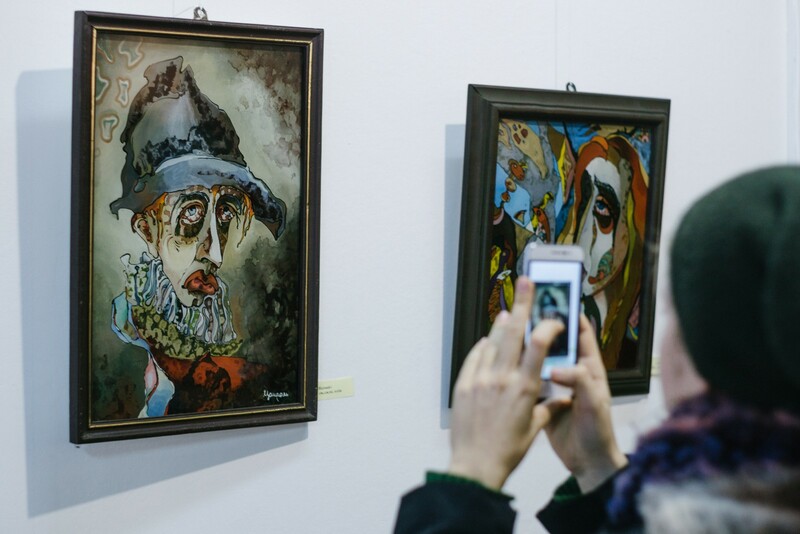 The name of the exhibition – “Meditations on glass” – aptly conveys the mood of the exhibition – smoothness and fluency of thoughts and feelings. 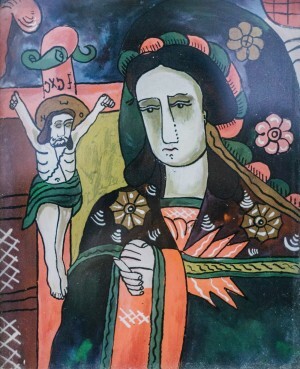 Preserving the traditions of Hutsul and Romanian glass icon, the artist tries to give her characters a new language, a new compositional solution, successfully combines classical forms with elements of modernism. 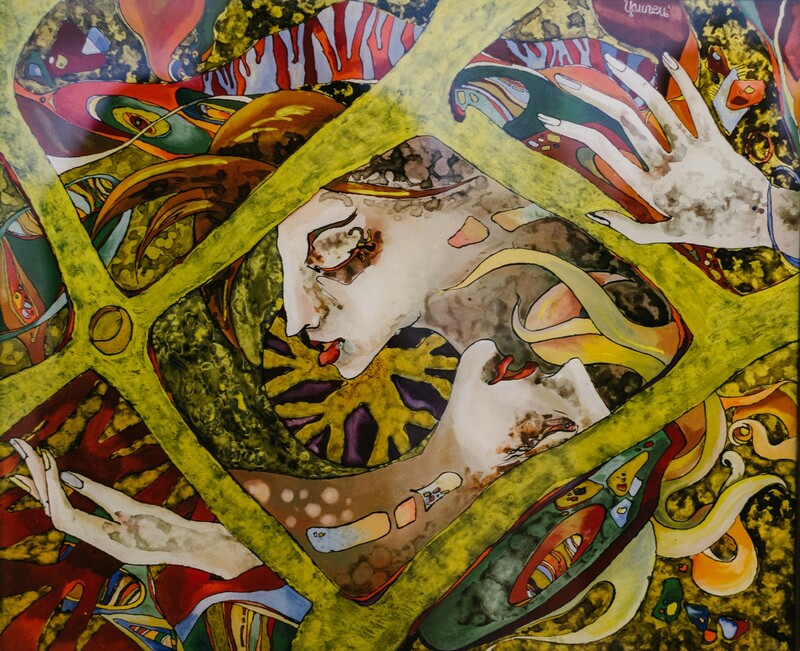 The saturation of color along with the transparency and tonal gradations of glass give her works new sound and special charm.